The French community of Thessaloniki has maintained strong ties to the city thanks in part to the migration of Thessalonian Jews to France during the two World Wars. Thessaloniki's position at a cross roads between cultures and as a major business hub have produced one of the most culturally varied societies in the region. French influences have been present in Thessaloniki for several hundred years and remain strong today. France and Thessaloniki had established particularly close ties long before the city’s unification with Greece in 1912. The driving force behind these ties has frequently been the dissemination of the French language and culture through education and cultural exchanges. The city boasts French-language educational institutions, private schools run by the Catholic Church, the Jean-Baptiste de la Salle School, and the Jewish Community School, all of which helped establish the French language as a vital communication tool in a truly cosmopolitan city. 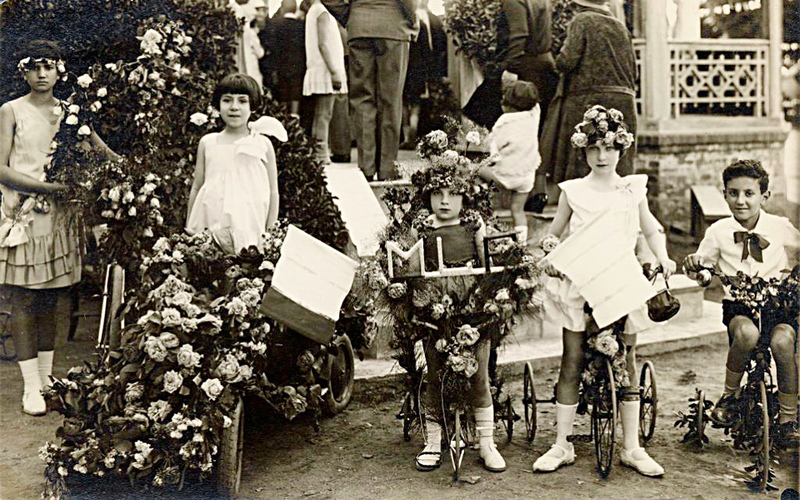 In the early 20th century, the existing relations between the two cultures were further strengthened when Jews from Thessaloniki migrated to France. A second wave followed during World War I, and since then France has been an integral part of Thessaloniki’s cultural landscape. Needless to say, Thessaloniki’s love of good food, good wine and good life finds a perfect match in French joie de vivre. French influences are in evidence all over the city. In fact, in the city center you can walk past a symbol of the city’s French ties every day without even realizing it. Thessaloniki’s main cultural and social center, Aristotle Square, was designed by French architect Ernest Hébrard after the Great Fire of 1917, which destroyed two thirds of the city. France’s rich association with the city has been maintained and further developed by the Consulate General for over 300 years, and by the French Institute and French School for over 100 years. Events in history have bestowed a shared identity on Thessaloniki and France which both sides are keen to maintain. The Armenian community of Thessaloniki is one of the city's oldest. The Armenian community of the city is smaller than it once was, but no less influential. The Armenian community of Thessaloniki, considered to be one of the oldest in the wider northern Greek region, has remained highly active over the years. Historical sources make reference to a small nucleus of Armenian senior civil servants during Ottoman times, which are thought to have formed the basis for the establishment of the community. Through history, the presence of Armenians in the city has ebbed and flowed. They form an important part of the city’s identity today. The Armenian community remained a small but significant part of life in Thessaloniki until the Armenian Genocide by the Turks in 1915 and the Asia Minor Catastrophe of 1922. The combination of these two events led to a large influx of Armenian refugees from Asia Minor seeking safety. They found it in Thessaloniki and the arrivals took the city’s Armenian population from less than 1,000 to between 10,000 and 12,000 people. The community’s organizational structures were formed at that time, serving as a base for the lives of community members to this very day. The Armenian Orthodox Church Ieros Naos Tis Panagias, linked with the Armenian School, community groups and various other agencies, has served as the focal point and the backbone of maintaining and sharing Armenian history and traditions. In 1946 and 1947, the city’s Armenian community was dramatically reduced as a result of the repatriation of many members to Soviet-ruled Armenia. Following Armenia’s independence in 1990 and the demise of the Soviet Union soon after, a new wave of Armenians, economic migrants this time round, settled in Thessaloniki and the wider region. The influx once again changed the community’s demographics. 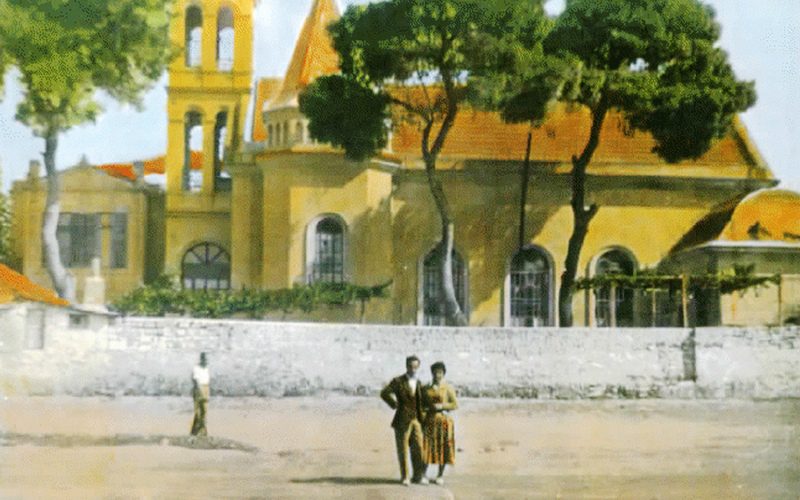 Over the years, the Armenian Community of Thessaloniki has maintained an integral role in the city’s multicultural life, contributing vibrantly and creatively to social, commercial, and cultural activities. The current numbers in the city don’t reflect anything close to the numbers in the earlier part of the 20th Century, but the community is well established. In 1987, the Armenian Cultural Center of Thessaloniki was founded, which acts as the home of all things Armenian. The community relies on its enthusiastic band of volunteers and the support of its members to keep alive Armenian history, language, traditions, customs, culture, as well as national pride, combining the love for two homelands, Greece and Armenia, in perfect harmony. 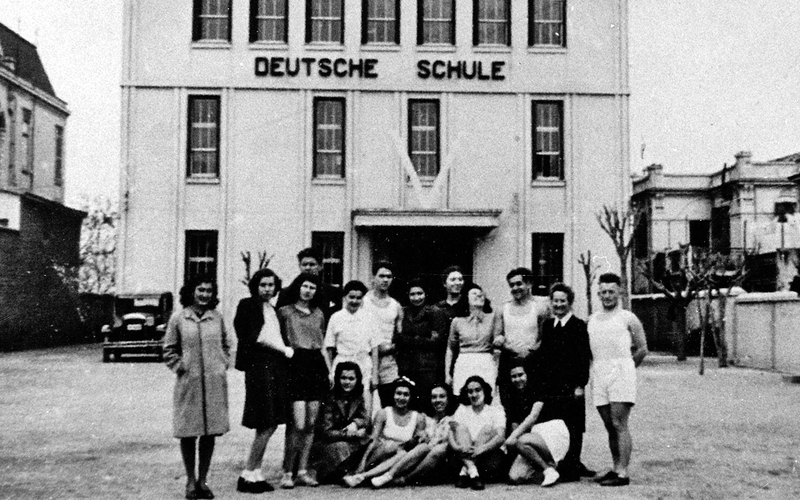 An old picture of the German School of Thessaloniki which still operates today. German influences still form an important part of culture, education and business in the city. Thessaloniki, a city that for centuries has embraced different cultures, has a strong history of German influences which were well established before the events of the World Wars and have weathered the strained relations between Greece and Germany on account of the economic roller coaster of recent years. Today, there are numerous examples of German influence in the city’s cultural and architectural landscape. The German consulate has existed in Thessaloniki since 1887, when the city’s commercial boom attracted traders from northern Europe. Housed at various points around the city over the years, the consulate’s operations were interrupted during World War I, resumed in 1921 and were suspended again during World War II, before restarting in 1955. Initially, the General Consulate focused on Greek-German economic ties. Then, during the 1960s, Greeks from the north of the country began to relocate to Germany for work, and the consulate provided advice and services in connection with this wave of migration. Some 1 million Greek citizens of the country’s 11 million in total have spent either part or all of their life in Germany. Now, the current economic crisis has sent a new wave of Greeks north. The consulate today provides news from Germany as well as events and open days to help answer questions about living and working in Germany. The Goethe Institute in Thessaloniki was established in 1955, with activities focusing on the promotion and dissemination of the German language and culture. The institute is presently housed in premises once used by the German School of Thessaloniki. In 2015, the institute celebrated its 60th anniversary at the recently renovated building. The institute offers German language classes and events centered around the German cultural scene. Educational institutes also play an important role in strengthening the city’s historic ties with Germany. The German Academic Exchange Service (DAAD) collaborates with two Thessaloniki-based universities, the Aristotle University and the University of Macedonia to provide information and assistance to students from those universities who wish to continue their studies in Germany. The German School of Thessaloniki, founded in 1888, is one of the city’s most respected international institutions and provides education to over 500 students annually from kindergarten through to high school. Given Thessaloniki’s importance as a trade hub, the business bonds that first brought Germans to the city unsurprisingly continue to be nurtured today. Established in 1924, the Greek-German Chamber of Commerce and Industry in Thessaloniki continues to operate. Well informed about economic activities in the city and surrounding regions, the chamber seeks to promote trade between Greek and German enterprises. Beyond business and education, German influences in Thessaloniki extend also to the social and spiritual. In addition to its religious functions, the German Evangelical Church in Thessaloniki, founded in 1895, offers social services covering many areas. And for Thessalonians interested in exploring German culture in a more informal setting, the Community of Germans and Friends of Germans organizes events throughout the year to mark various occasions, such as German Unity Day on October 3, New Year’s Day, and of course that most famous of German cultural icons, Oktoberfest! 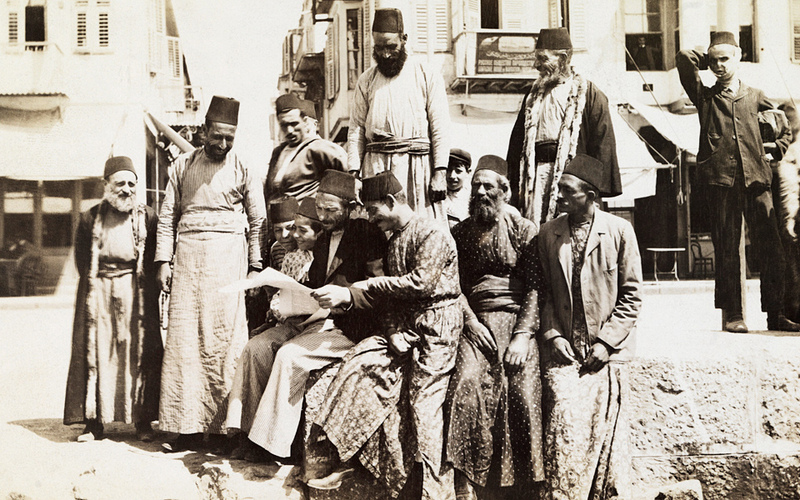 Jewish men in traditional cloaks and hats gather to read the newspaper in 1916 (left). Though now small, the community maintains its place as a vital part of the city’s history. Thessaloniki used to be home to one of the largest Jewish communities in Greece until the middle of World War II. For centuries, it remained the only city of its size in the Jewish diaspora with a majority Jewish population. According to archaeological findings and historical evidence, the Jewish presence in Thessaloniki has been constant since the foundation of the city. The high point of their presence was the settlement of thousands of Jewish refugees from the Iberian Peninsula in 1492. The influence of the community led to the city being nicknamed la madre de Israel, or “mother of Israel”. This influx made the Jews the demographic majority for a period of four centuries, establishing Thessaloniki as an important commercial and cultural center. That changed with the advent of World War II. During the German occupation of Thessaloniki, 96 percent of the city’s Jewish population was exterminated at the Auschwitz-Birkenau concentration camps, while the community’s cultural reserves were looted and the majority of buildings associated with Jewish life in Thessaloniki destroyed. These tragic events saw some 60,000 member of the city’s Jewish community perish, and nearly destroyed the community’s presence in the city completely. Despite coming close to being wiped out completely, the survivors of Thessaloniki’s Jewish community not only chose to remain in the city, but they rallied to form a small but vibrant part of the city’s fabric. Nowadays, the Jewish community of Thessaloniki numbers around 1,200 and is an integral part of the local society. The community restored most of its functions and currently maintains the Jewish Museum of Thessaloniki, three synagogues, an elementary school, a choir, a summer camp and a home for the elderly. It also supports all its members through scholarships for the younger members and welfare for the elderly and those in need. At the same time, the community organizes several cultural activities, conferences and other events, both independently and in collaboration with other local and regional organizations which ensure that the Jewish community remains a part of the city’s rich cultural makeup. Most recently, following a long-standing request of the Jewish community, the Aristotle University of Thessaloniki founded the Chair of Jewish Studies, an initiative promoting academic research into the city’s expansive and well-established Jewish heritage.